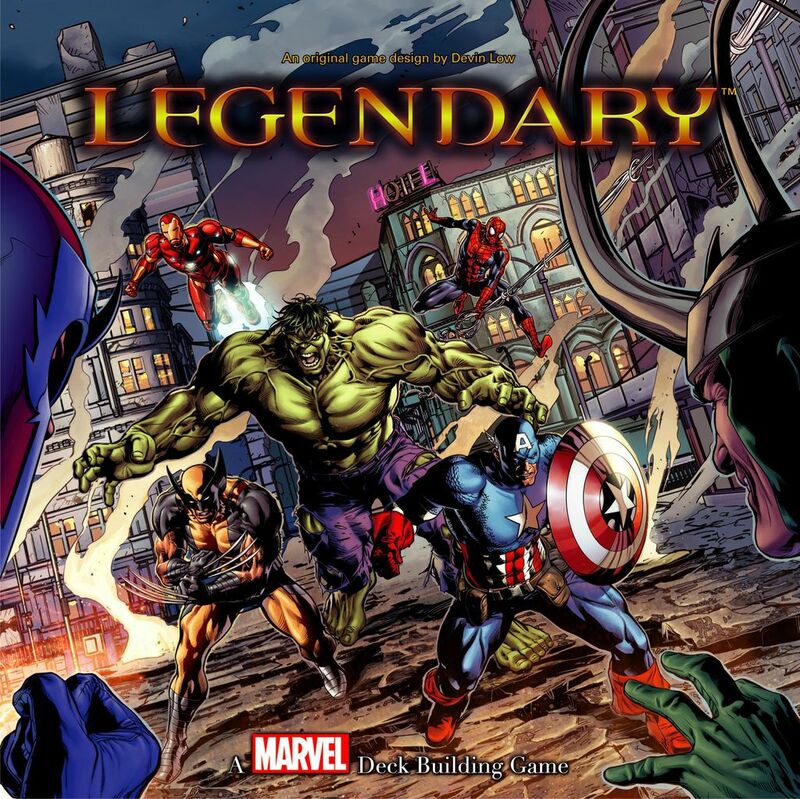 Legendary is a deck-building game set in the Marvel Comics universe. 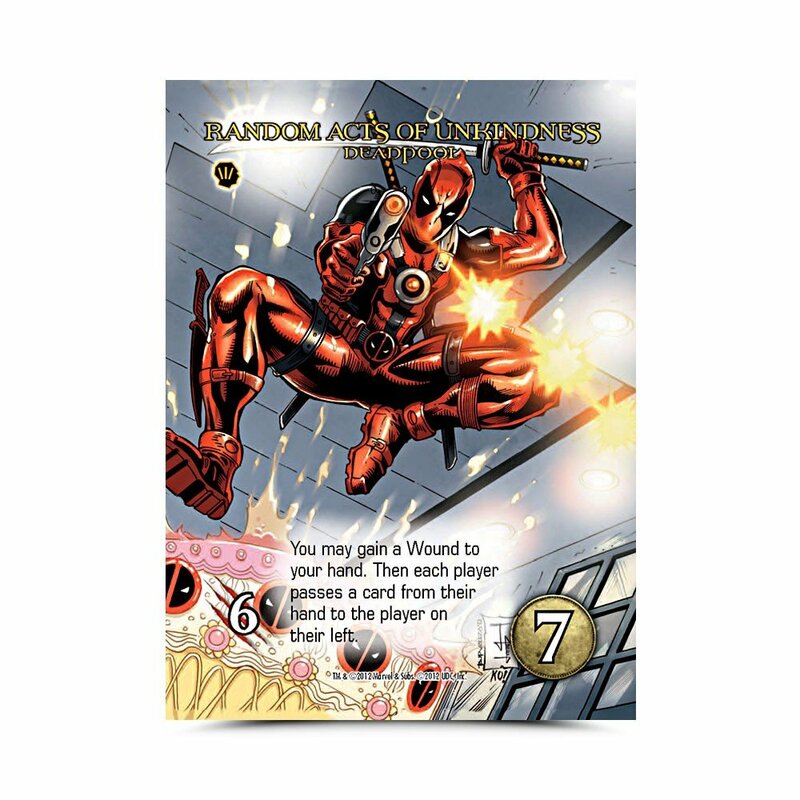 To set up the game, players choose a number of hero decks from the likes of Spider-man, Hulk, Cyclops, or Wolverine, to name a few. Shuffle them together (since players use only a handful of hero decks out of the fifteen included) allowing the hero deck to vary widely in terms of what's available. Players then choose a mastermind villain (Magneto, Loki, Dr. Doom, etc.) and stack that particular villain's attack cards underneath it. Next, modify the villain deck as needed based on that villain's particular scheme. 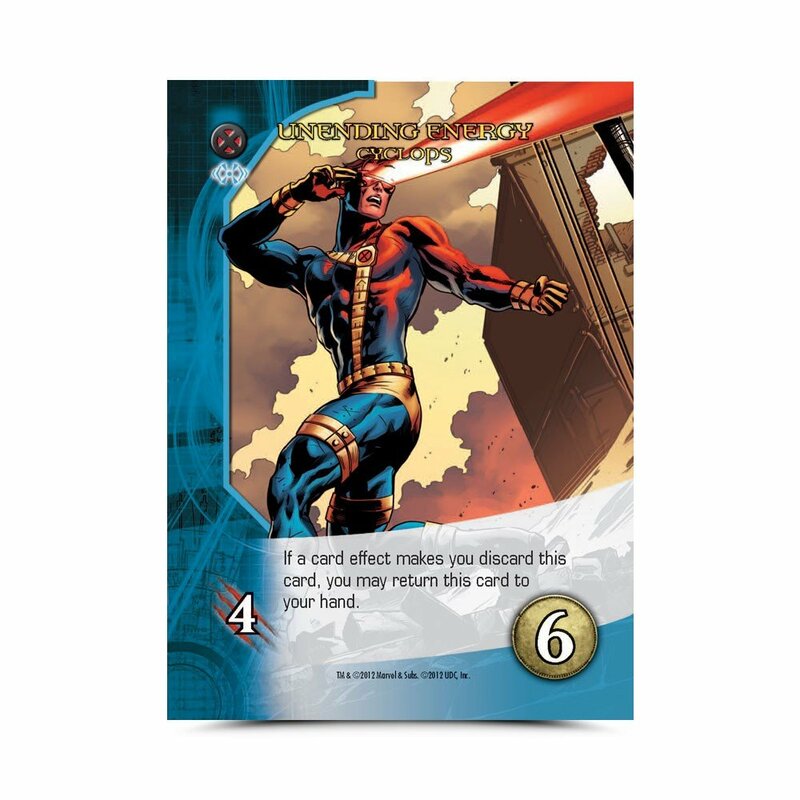 Over the course of the game, players will recruit powerful hero cards to add to their deck in order to build a stronger and more resourceful deck. Players need to build both their recruitment powers (to enlist more heroes) and their fighting ability (to combat the villains who keep popping up to cause trouble). Players recruit heroes from an array of six cards, with empty slots refilled as needed. At the start of a player's turn, he reveals a villain and adds it to the row of villains. This row has a limited number of spaces, and if it fills up, the earliest villain to arrive escapes, possibly punishing the heroes in some way. Some villains also take an action when showing up for the first time, such as kidnapping an innocent bystander. 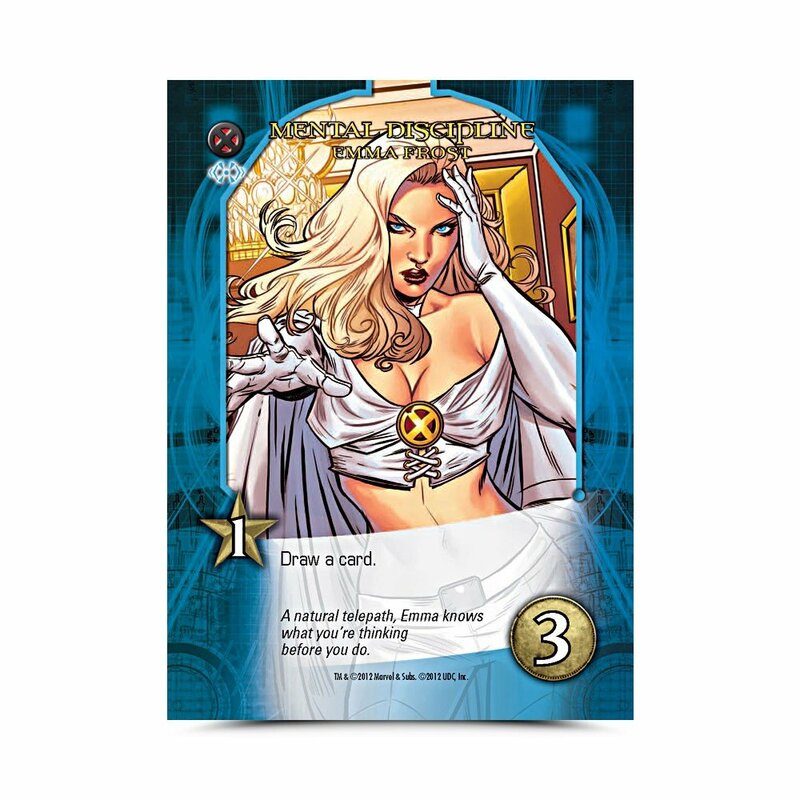 The villain deck also contains "master strike" cards, and whenever one of these shows up, the mastermind villain (controlled by the game) takes a bonus action. Do you have what it takes to defeat the villains? Or, will you let them escape? 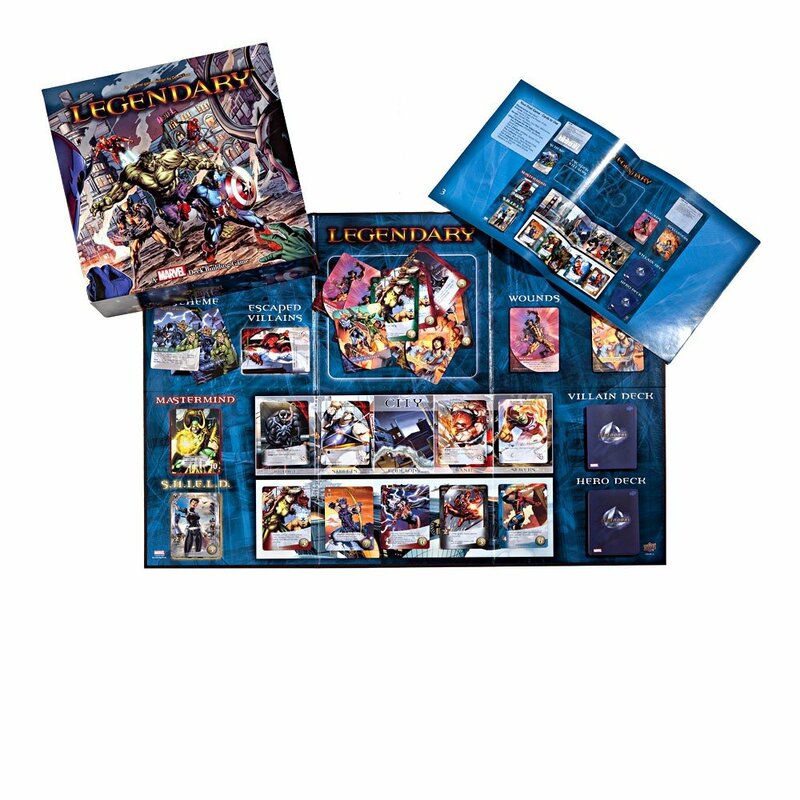 Play Legendary: A Marvel Deck Building game to find what the cards have in store for you.